Tiger Rock Martial Arts of Kingwood aims to enrich the lives of each of our students through our unique model of martial arts, fitness, skills training. By combining the latest training methods with the cherished tradition that is martial arts, Tiger Rock Martial Arts of Kingwood provides every student that comes through our door an experience that cannot be found in any other academy in Kingwood or beyond. Tiger Rock Martial Arts of Kingwood is led by Grandmaster Instructor Victor Jordan and Senior Master Instructor Sandy Jordan. With decades of martial arts training between them, the Jordans along with Master Instructor Jim Brown and Instructor Brian Seiler, helps each student improve their self-discipline, learn new skills, and achieve goals both physically and mentally. The entire instructor team is dedicated to providing world-class martial arts instruction to students of all ages from across Houston’s northern suburbs. There are specialized classes, specific to each group’s unique classroom needs: Tiger Cubs (pre-school age 4 yrs), Juniors (6 yr olds – 12 yr olds), and Teens & Adults. We welcome students of all ages and backgrounds to our academy. 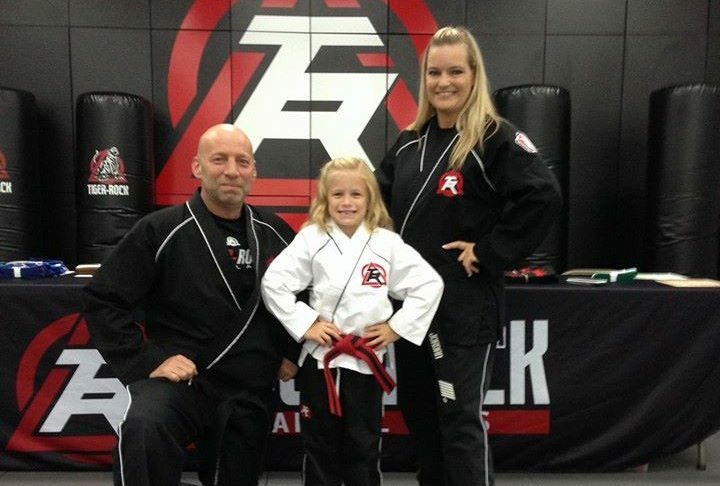 Whether you are experienced in martial arts or just getting started on the mat, we invite you to come see what Tiger Rock Martial Arts of Kingwood is all about.